We will do all we can to make this a very special occasion for you, but also to help you come to a deeper understanding of how Christian faith can help you build a stronger relationship that can withstand the many pressures of modern life. We hope that by choosing to come to church (rather than a Register Office or other authorized location) you are seeking God’s blessing on your life together. 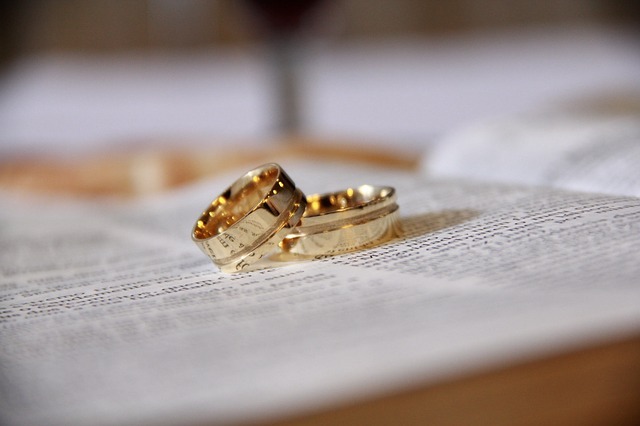 Can we get married in the parish of Palmers Green? If one of you has nationality of an EEC country, we will arrange for you to get a Common Licence. If one of you has any other nationality, you now have to make an appointment to go to the local Registrar and get a Superintendent Registrar’s Certificate. This replaces the calling of Banns.